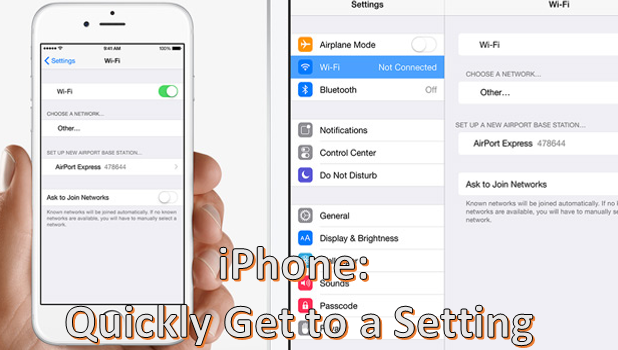 Your iPhone’s Settings option contains features and functionalities that you can set or adjust in order to control your device’s behavior. To make Settings easier to navigate, functions are grouped into options. Each option contains sub-options that are related to each other. Though the phone’s options and settings are optimally organized, one can easily get lost with the vast amount of preferences in Settings. 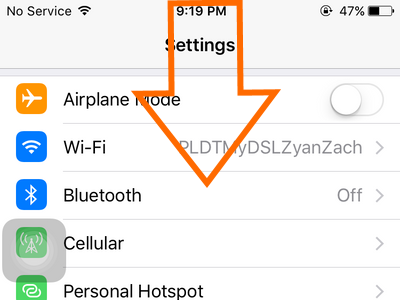 Luckily, there is a way to get to a setting quickly on your iPhone or iPad without going through each option and sub-option. The steps outlined in this tutorial work for iPhone, iPad, and the iPod running on iOS 9. 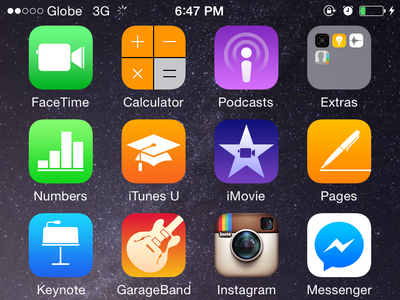 1.Unlock your device, and press the Home button to get to the Home screen. 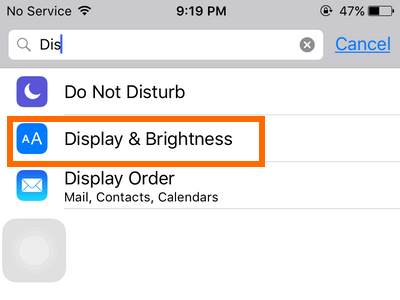 2.From the Home screen, locate Settings. Tap on the Settings icon to open the app. 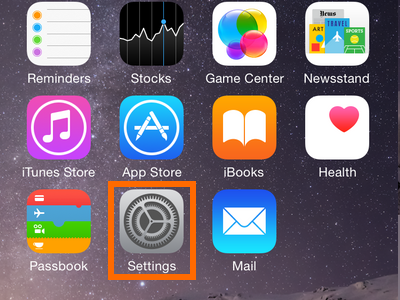 3.Your device’s settings will be displayed. Pull down the page to display the Search button. 5.Tap on the desired setting, and you will be quickly taken to its page. 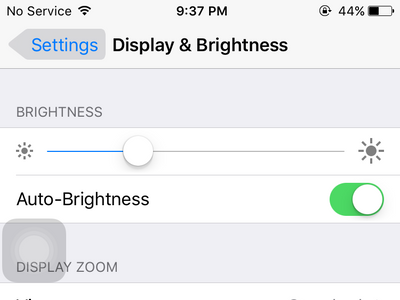 For this example, tap on Display & Brightness to open the settings page to make adjustments to your device’s brightness. 6.You are now on the selected Settings page. You are done. 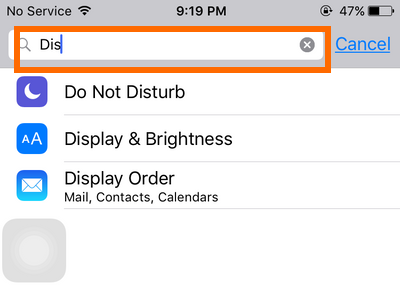 Note: The Search button is not available for versions that precede iOS 9. Do you have something to add to this tutorial? Let us know in the comments section. We would like to hear from you.